I am so proud of this blog post! The kitchen drawer was jammed. When we bought the house, it was in rough shape, but two years of 3 kids pulling and slamming it, packing it full of coloring books, and letting markers drop behind it had done it in for good. It was hanging opening, reams of construction paper half falling out of it when my husband got home from work. He walked past the drawer and tried to push it closed, but it wouldn’t budge, so he leaned on it, wiggled it, and wrestled with it for a whole two minutes before the swearing started. 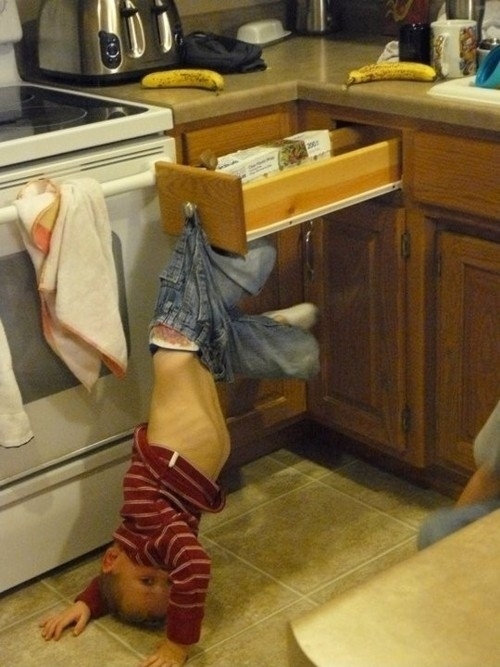 Although I suppose it’s better for the kids to get the drawer stuck than for the kid to get stuck on the drawer. I think we need to start with the notion of pride. It seems like pride is behind every sin. Yet we focus on the idea of pride in our schools, our athletic programs and eventually our careers. The word pride is painted on walls of many of our schools across the nation. 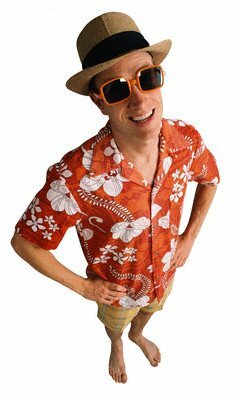 I have seen children wearing athletic shirts with the word pride printed across it. We take this for normal. But would we respond the same to any other sin written in our schools or taught to our children? This has become so normal it barely registers a blip. We are setting our children up for spiritual difficulties by doing this. Her comment got me thinking. Is pride always a sin? Does it always come out of a place of darkness and/or lead me into that darkness? What about if I say I have Catholic pride? Or that I am proud of myself for finishing my Master’s Degree? Or that I have pride in my 8 year old son who went to talk with his Den leader “man to man” about the reasons he wanted to quit Cub Scouts instead of letting Mom & Dad take care of it all for him? Or that I am proud of the teen who talked her friend out of having an abortion? In my reflections on pride I came across Romans 15:17. In Christ Jesus, then, I have reason to boast in what pertains to God. Paul was boasting about what God had done through him. Being proud of God’s work is not a sin – it is worship. The Devil cannot create anything new – he can only take what has been created by God to be good and twist and turn it into something ugly. The fruit of the tree of the knowledge of good and evil was not ugly or bad, but the Devil took the goodness of that tree, the goodness of the free will of Adam and Eve, and twisted and manipulated them into the ugliness of Original Sin. Paul tells us that pride is good – when it is pride in what God has done. Sometimes, though the Devil takes that goodness and manipulates it with our insecurities and selfishness and twists into something so ugly it is one of the Deadly Sins. When my pride in my home (or car, or boat, or kitchen drawer) is about the object itself, or when I find my own worth defined by that object, it’s a sin. When my pride is really gratitude to God for the abundant blessings (that I live in a country where I have opportunities, that I have been blessed with the ability to get a job, that that job has blessed me with the money to buy these items), then it is a good and holy pride. When my pride in my education is about how I feel, how I look, or how others perceive me, it’s a sin. When my pride is really gratitude to God for blessing me with the intellect, financial means, and opportunity to get an education so that I can better serve Him, then it is holy. When my pride in my son is about his Den leader thinking I’m a good parent, or about self righteousness in my own parenting decisions, or even about wanting my son to feel better about himself, it’s a sin. When my pride is really gratitude to God for the chance to pass along life skills that will create my son into a man who will serve God, then it is holy. When my pride in that teen is about what a great youth minister I have been to encourage her to stand up to the dignity of human life, it’s a sin. When my pride is gratitude at God working through me and through that teen to save the life of an unborn child, then it is holy. The line between sin and holiness, between holy pride and the sin of pride is thin and incredibly nuanced. It’s a short hop from gratitude for my blessings into the idolatry of me. It’s a quick slip from knowing I have dignity and worth because I’ve been created in God’s image to believing that what other people think of me is what creates my worth. Maybe I can avoid that slip by changing the words I use. Instead of telling my son I’m proud of him, I can express the same thing by telling him I saw God working through him. Instead teaching my kids to take “pride” in our home, I can get the same result by teaching them that our home is a blessing from God. Instead of having Packer Pride, Loyola Pride, or Hawk Pride, I can be grateful for the community that those institutions have created and show my fellow Packer fans, Master’s graduates, and high school classmates the respect they have earned as individuals created in the image and likeness of God. There’s a difference between being finding your worth in your sexual orientation and letting that identity determine how you relate to God, and finding worth in knowing you are created in the image and likeness of God and letting that identity guide how you choose to live with your sexual identity. See…nuanced. What do you think? Is pride always a sin? Can changing our language help us avoid the slippery slope from goodness into sin? I wrote this blog about how volunteering at our local warming shelter opened up my eyes to much more than just the plight of the homeless. The unexpected happened. Something none of my mission trips, immersion retreats, or service outings had prepared me for. This was the first time I had served the homeless community in my own town, and I was not prepared to know some of the guests. I was not prepared to see former teens and the parents of teens come in from the cold with everything the owned in a backpack on their back. At first, I felt helpless. I felt so inadequate, certain that futzing with the finicky washing machine for my shift couldn’t do anything for these individuals. I felt like all I could do was to be there, and that being there wasn’t enough. While I focused on how this experience challenged me to be a better youth minister, the reality is that it challenged me to be a better – well, everything. A better wife, a better mother, a better friend, a better Christian. The thing is, it’s REALLY hard to be present – there are so many little things that require immediate attention – all at once. On Saturday, I found myself trying to convince the not-yet-potty-trained-because-apparently-we-don’t-have-this-parenting-thing-figured-out-yet 3 year old not to pull down his dirty diaper in the living room and playing a game of Uno while at the same time showing my husband how to open the vacuum cleaner (which promptly dumped out all over the couch, the kids, me, and the Uno game). In trying to be present to the dirty diaper, the Uno game, and my husband’s battle with the vacuum, I ended up being present to none of them. So, I’ve made a commitment to re-read this blog every morning during Lent and to try to focus on just one person or situation I can be fully and totally present to that day – no distractions. We’ll see how it goes. How can you be fully present today? Please stop trying to “out-Catholic” others all the time. I get it, you know the faith really well. You’ve read some (or maybe many) books and watched some faith-based shows and movies. You’ve heard some great speakers and been on some highly spiritual retreats. You’ve had deep encounters with God and maybe have a deep understanding of one thing or another. Perhaps there’s someone in your family with religious vocation or you are good friends with a priest or a nun. Maybe you are able to get to daily Mass. Or have a daily Holy Hour. Perhaps you serve the Church in some form of ministry. Possibly you have a deep devotion to Mary or one (or many) of the saints. Novenas might be a regular form of prayer for you or perhaps you never miss praying your daily rosary. Uh-oh! 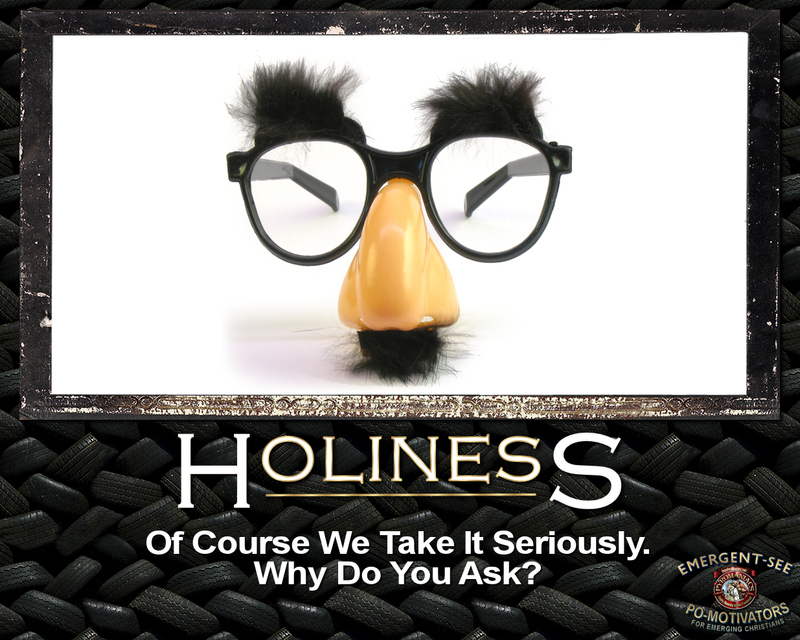 I made a joke about holiness...i must not be very Catholic! You might be an activist who stands outside of Planned Parenthood every Saturday morning to pray for the end of abortions. Or, maybe you write letters to your congressmen on a regular basis trying to get laws changed. Maybe you vehemently oppose all things secular or use Facebook as a platform to preach the word of God. And, every one of those things are good and noble. But, they don’t make you a “better” Catholic than everyone else. Friends don’t let friends be cologne guy. You know the guy I am talking about. Maybe he was a high school chemistry teacher or a buddy from college or maybe a crazy old uncle – he was the guy who wore too much cologne. I don’t know what motivates too much cologne guy to regularly over spray. Maybe he is worried that he smells badly otherwise. Maybe he thinks this is the way to get the ladies. Maybe it is just habit and he doesn’t know any better. What I do know is that whatever his motivation, he isn’t aware his odor is overwhelming. This morning as I was getting ready, I accidently sprayed one spray more cologne than normal and I suddenly became super worried, that for at least today, I was going to be that guy. I was going to be the stinky cologne guy. In fact, not only was I worried I was going to be outrageously odiferous, but I began to fret about an even worse fate – no one would tell me. The only thing worse that not being self aware about some personal fault, would be not having anyone in my life willing to tell me, warn me, correct me. What if I went through life and no one tried to help me by calling me out. As I write this I am beginning to worry that maybe I AM cologne guy every day and no one is telling me. Quick, smell your computer screen and tell me if my blog smells too strong. (Man, I hope you didn’t actually do that.) I digress. Maybe there are people in my life who I should be challenging, warning, correcting. I don’t mean about the cologne thing (though maybe that too); I mean about important things. I think there is something truly holy and good about helping out our friends and neighbors by inviting them to change. If that is true, then we need to figure out a way to challenge our friends without offending and alienating them. Being called out is hard. No one likes to be told they are falling short or outright screwing up. This is why people react so crazy to being invited to admit fault and confess sins – they don’t like to be wrong. People don’t get too crazy about being told about spinach in their teeth or static electricity mucking up an outfit, but when we start to get into the realm of personal behavior people tend to freak out when corrected. I don’t have a good answer. I don’t know how to do this personally, and I am not sure how to do this communally/institutionally. What I do know is that at the end of the day the only valid and appropriate motivation is love. The only reason we can ever call someone out is because we love them, and we want them to be happy, healthy, and holy. Anything other than that is self-righteous judgment which stinks worse than cologne guy. I’ll admit it, I watched most of the Grammys. I’m not going to blame my wife, though it was on when I got home from work. I enjoyed much of it. Paul McCartney, the Boss, and Dave Grohl on the same stage = awesome-mind blowing-weird-goodness. I’m not going to touch the ridiculously silly Nicki Minoj spectacle (Am I the only one that thought it was funny to watch someone try so hard to be controversial and fail because everyone was so distracted by her lack of talent? Also, if you need proof Catholic persecution is alive and well, there you go. Okay, I guess I am going to comment on it). Adele is proof that talent plus the less is more attitude is beautiful and moving beyond words. Jennifer Hudson same thing, beautiful tribute. May God have mercy on us all us sinners. 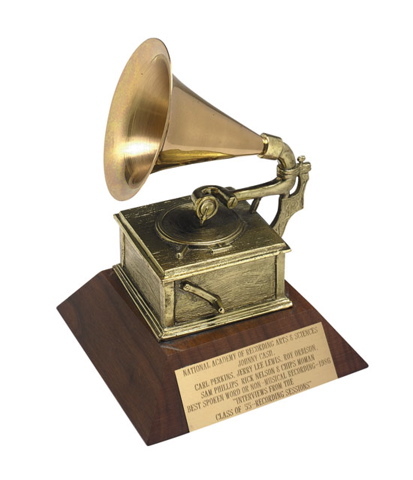 Wait, this isn’t a Grammy blog. I, an adult male, am not reviewing the Grammys. I am writing to say I wish I could listen to more of the kind of music played at the Grammys. I wish I could play some of the big time, top 40 dance music on display last night. But I can’t in good conscience do that. I can’t subject my children, my wife, or my own heart for that matter, to lyrical content of most of the top 40. Call me a prude, but my job as a husband and father is to protect my family. If that means physically, I will do my best to talk my way out of it (lover not fighter, but will if I have to). It also means I am called to protect their holiness, which means I will do my best to protect them from sin or an occasion to sin. I’m not great at this, but I do my best where I think I can. I don’t mean to get on my high horse about this, and if you feel judged by this, know that I don’t mean to judge your holiness or level of commitment to your kids. However, I will judge the lyrical content of music, and I can judge how I behave when I listen to certain lyrics or watch certain movies or TV (had to quit Sopranos for this reason). I just can’t in good conscience give my daughters a snake when they ask for a fish (goldfish). Nearly every night as dinner is slowly ending, my family puts on a little dance music and throws a dance party while we clear the table and do the dishes. My girls are fun and funny and bring great joy to our family when we do this. I just wish there was more fun music that I could play while we have our crazy dance party. Until there is, I will just have to rely on my man Elmo to parody the top 40 for my family. I’m sorry I couldn’t come up a better title. I spend a lot of my time apologizing. I have a big mouth and a frequently inappropriate mind. I’m not great at keeping unimportant things to myself (though great at things that pertain to my teen’s lives and my job – thank you Holy Spirit). Also, I am a bit of a screw up sometimes and this leads to a lot of legitimate reasons to apologize. This week, in fact has been the week of apologies. I inadvertently shared the inner workings of a meeting with an outsider through email and had to apologize to one of my best friends in ministry. I got into an argument with my buddy Kory and ended up going too far in order to win the argument and had to apologize. I’ve apologized to my wife about 10 times, but that is pretty normal. I’m not going to even mention that handful of emails I started with an apology. 1. Acknowledges Reality – A real apology that recognizes a legitimate problem or hurt demonstrates a firm grasp on reality. Ignoring a problem as if it doesn’t exist and refusing to apologize is akin to a blatant denial of what is real. 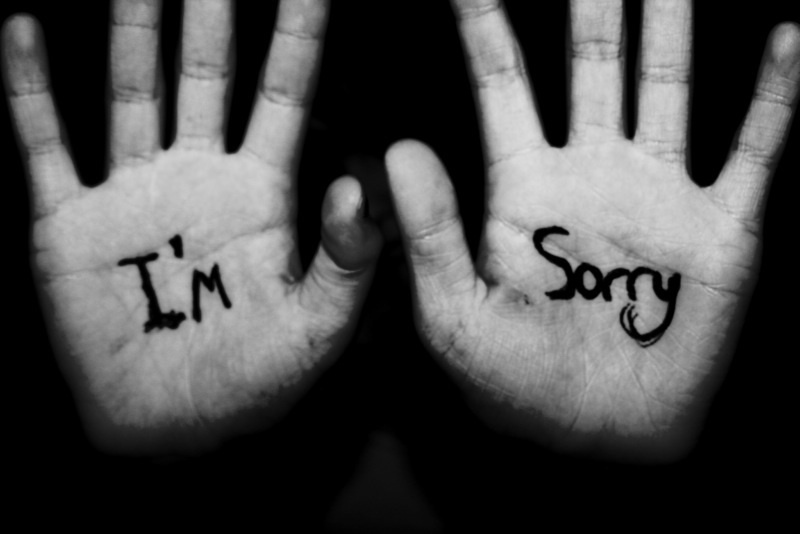 Apologizing is often seeing things for how they really are, not how we would want them. 3. Heals & Strengthens relationships – Every and any relationship I have been in where I had to apologize is a stronger relationship than one where I haven’t. I got a phone call complaining about something I said during Mass announcements once. I called the gentlemen, apologized and talked it out. By the end of the conversation, he mention how impress he was with me and grateful that I worked at the Church. We went form apology to compliment in 5 minutes! 4. Training in humility – I secretly believe I breathe excellence. When I am confronted with proof that I do not, I can get pretty upset about it. Apologizing is training me to be humble (which I desperately need) and helping me to be honest with myself. Humility is seeing ourselves as God sees us, and apologizing is key in making that happen. 5. United with the forgiveness of God – I am not a priest (Shocker), so I don’t get to absolve sins during the Sacrament of Reconciliation. Yet, I do get to forgive others all the time. When I apologize I get to give others the opportunity to forgive me which is central to the Christian life and straight from scripture (James 5:16). Apologizing (and forgiving) is an intensely Catholic thing. Heck for any follower of Christ it is essential. Of all the powers that Jesus handed onto Peter, the most obvious was the Church’s power to forgive sins (Matthew 16:17-19). I will probably have to apologize and forgive a bunch of times today, and that is a good thing. Who do you have to apologize to? Who are you not apologizing to that you probably should? How has apologizing been a good thing in your life?